My favorite! 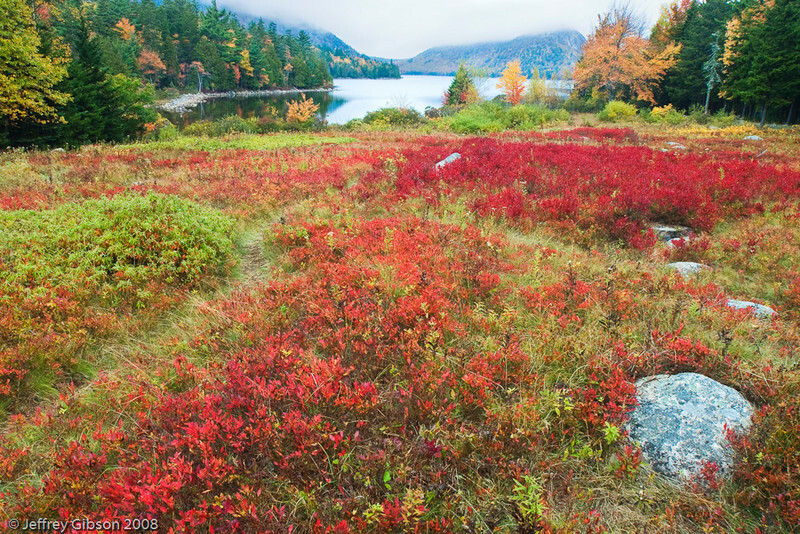 A rich blueberry thicket leads you to Jordan Pond. The early morning fog still hovers over North and South Bubble Mountains.